Make your customers part of your sound. Let your customers have a say in the music and turn them into loyal followers. 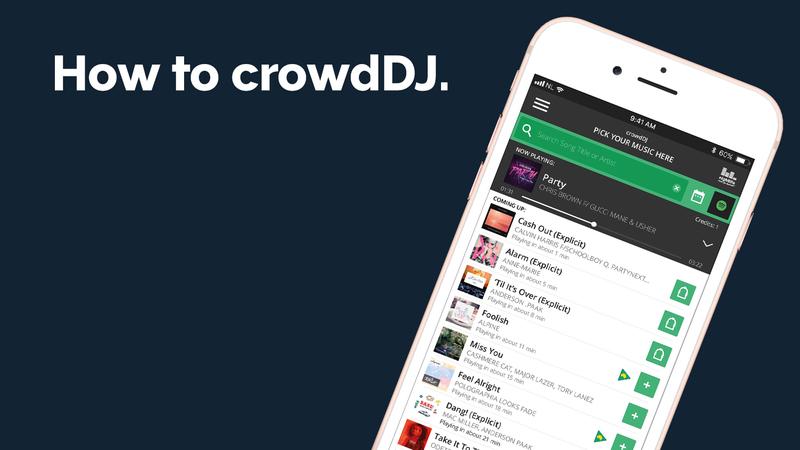 crowdDJ lets your customers pick their favourite music from your Nightlife playlist, via the free crowdDJ mobile app or interactive in-venue kiosk. 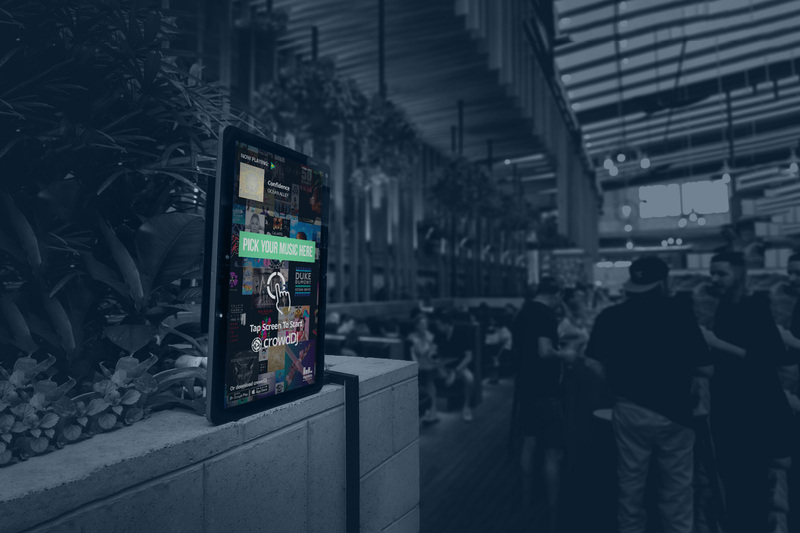 With Spotify integration your customer can pick songs from their own playlists that match your venue’s soundtrack, making crowdDJ the perfect bridge between their home and your venue. Song votes in the last 3 years. crowdDJ plays directly from the Nightlife Media Player; a high-end, commercial music and video system with a robust advertising platform. The interactive kiosk gives customers an in-venue portal to pick songs from. The music your customers can choose is controlled by your Nightlife playlist and music schedule. When you sign up with Nightlife, our music consultants will build a custom soundtrack and music schedule, just for your business. Use our manager app to take direct control of your venue’s music. Change the active playlist, move songs around in ‘Up Next’ or limit the number of customer song selections from the palm of your hand. Our regular content additions and behind-the-scenes playlist updates means your custom soundtrack is always up to date and stays fresh, even when it's playing every day. Get in touch with our team to get crowdDJ in your venue. Download the app to see if crowdDJ is right for your business. How do I get crowdDJ in my business? 1. Talk to our Sales team. Get a full rundown on what Nightlife has to offer and decide on a package that’s right for your business. Work with our Music team to design your own playlists, then your Nightlife Media Player and crowdDJ interactive kiosks will be delivered and installed. Once you’re set up and playing your quality, hand-crafted soundtrack, turn on crowdDJ with the flick of a button. 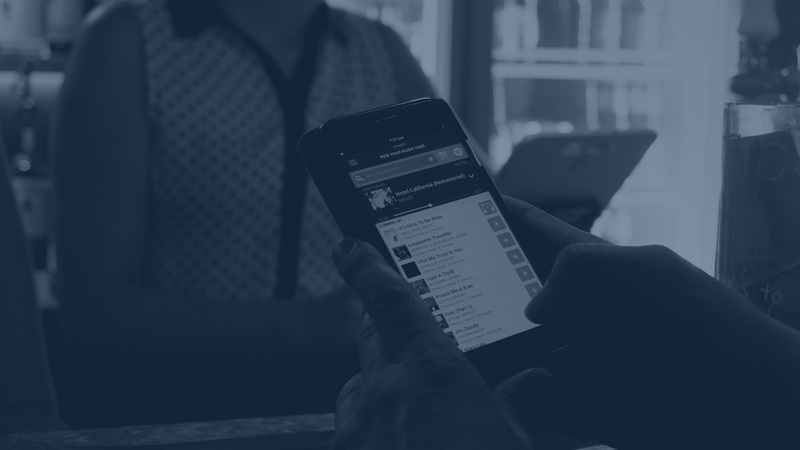 Your customers can now connect to your venue to pick and enjoy their favourite music. NOTE: crowdDJ is a Nightlife add-on and requires an active Nightlife subscription to function. How many songs can customers pick? crowdDJ runs on a credit system; each song selection costs one credit and the venue can control how often credits are generated. 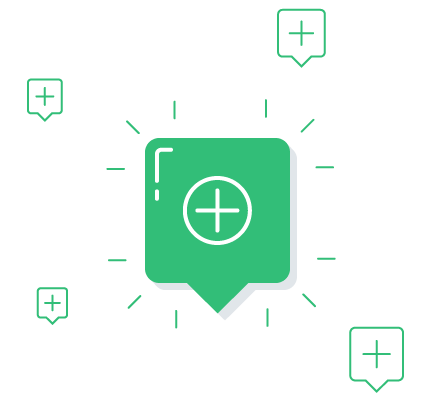 From the manager app, your staff can change the credit policy at any time. How do customers connect to my venue? Your customers can simply download the crowdDJ app and choose your venue from the map screen to start picking songs. If customers are in or near your venue, geolocation will put you at the top of the list. I'm already a Nightlife customer, how do I get crowdDJ? Get crowdDJ in your venue. Put your venue on the crowdDJ map. Call us on 1800 679 748 or fill out the form below to organise your free trial.